Concours HTTTC ENSET Kumba Entrance 2019-2020: Year One 1st Cycle University of Buea Higher Technical Teachers Training College (HTTTC ENSET Kumba) MINESUP Concours. ORDER N°.17/00559 / MINESUP / OF / 06 SEPT 2018. 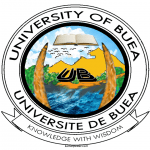 To launch the Competitive Common Entrance Examination for the recruitment of student-teachers of the Technical Secondary Education into Year One of the First Cycle of the Higher Technical Teachers’ Training College (HTTTC ENSET Kumba) of the University of Buea at Kumba for the 2019-2020 academic year. Mindful of Decree nc 93/026 of 19 “‘ January 1993 to create Universities. Mindful of Order n°17/0056/MINESUP/SG/DAUQ/SDEAC/SE of 25 January 2019 fixing the calendar of competitive entrance examinations into institutions of State Universities for 2019-2020 academic year. Bjr.svp j’aimerais savoir les disciplines qui passerons à l’epreuve écrite. Pour la spécialité DE comptabilité ,gestion. how do I get the registration formalities for ens kumba online? When are the authorities releasing the results of enset kumba?